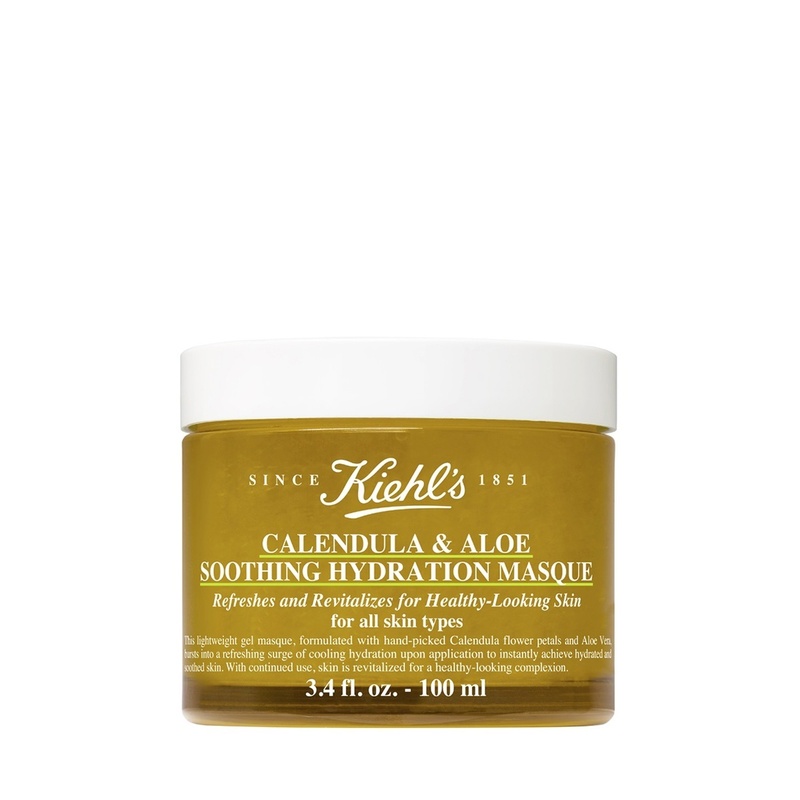 This lightweight gel masque, formulated with hand-picked Calendula flower petals and Aloe Vera, bursts into a refreshing surge of cooling hydration upon application to instantly achieve hydrated and soothed skin. With continued use, skin is revitalized for a healthy-looking complexion. Calendula Petals and ExtractNative to the Mediterranean, Calendula Extract and Petals are known to be a very rich source of polysaccharides, saponins and flavonoids, which are known for their skin soothing properties. Calendula has been highly regarded as a medicinal herb in both Ayurvedic and Traditional Chinese Medicine for many centuries for its skin treatment properties. Our Calendula Petals are slowly mixed in to infuse our formula, which gives it a golden color.Aloe Vera. Widely used for centuries in traditional and herbal medicine for its skin soothing benefits. It also known to possess hydrating properties and helps increase the water content in skin. Our Aloe is sourced from the leaf of the Aloe Vera plant growing in the Dominican Republic.